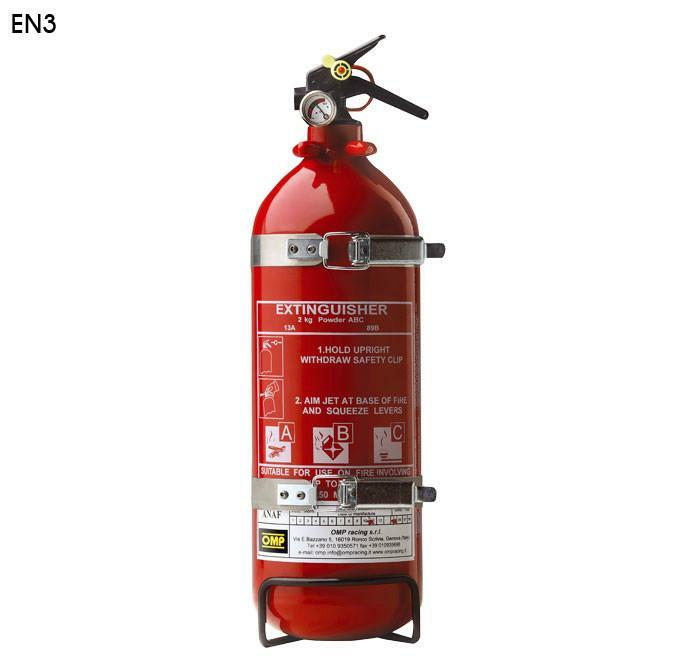 EXTINTOR DE MANO OMP BOTELLA DE ALUMINIO 2kg POLVO. HOMOLOGADO FIA. Incluye anclajes. Peso total 3.1kg.